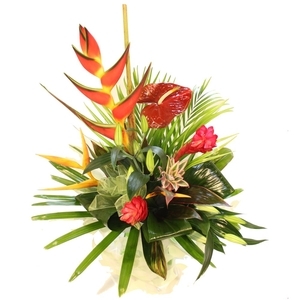 We have a passion for flowers, let us create something really special & personal. 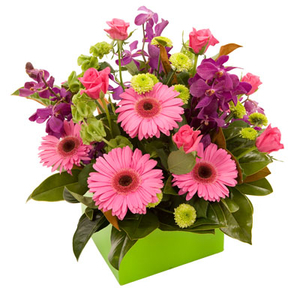 Our fresh flowers arrive daily, we deliver stunning floral, plant & hamper pieces all over Melbourne. 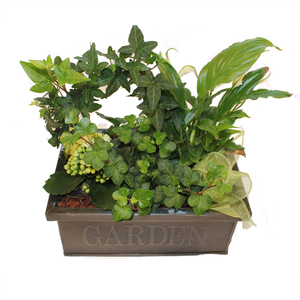 Our florist, nursery, home wares & gourmet foods all compliment each other as a one stop shop for the perfect gift. Only 10 minutes from Melbourne CBD, one block away from the Alfred Hospital, with Free Delivery! Having been a florist for over 17 years we know that this is what we will always do! We love creating beautiful things, finding beautiful things & meeting beautiful people. Our shop right in the heart of Melbourne gives us amazing access to the hugest range & best quality flowers in the country. Weddings & events are our speciality, handling large accounts like Channel 7, L'oreal & Myers shows that we have a loyal established client base. We have a passion for what we do & know you will love what comes from our store! Delivering all over Melbourne, Victoria, Interstate & the world. The flowers were just so beautiful and I was so happy she got them in the time frame I asked ! My daughter in law was thrilled with the arrangement. Many thanks . Flowers were delivered on the day promised and although I only saw flowers via a photo,my daughter said they were beautiful and was really pleased with them. We selected florist choice as Mum was in hotel for only a short time so wanted flowers that would look best on the day of delivery. She took a photo for us and the bouquet was beautiful! She loved them and so did we! Thank you so much! I ordered a table flower arrangement for a relative in Australia, and she was surprised and delighted when it arrived and said the flowers were "stunning." The selections pictured on the website, along with prices in various currencies, made the ordering process very simple. My daughter was delighted with the flowers, thank you. Trouble free transaction end to end. 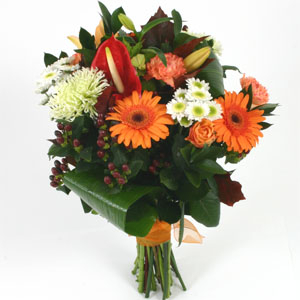 Flowers delivered on time and were very nice, although looked a bit different from picture advertised. Will use the service again.. Simple, easy, and fast. Very reasonably priced too. Good value I will order again without hesitation. Beautiful flowers deluvered on time. Thank you. My daughter in law was very pleased with her flowers. I asked for pm delivery and they arrived at 4.30pm, perfect timing! Flowers were beautiful and made a birthday much more special! 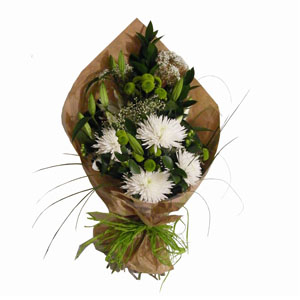 Flowers were delivered on the day and the recipient was delighted. The flowers were a beautiful surprise for my sister in law. My daughter was delighted with the flowers . My son and his partner were delighted with the new baby flowers, teddy and balloon. 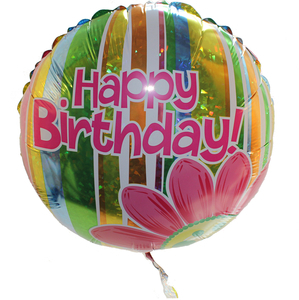 Delivered on the date requested. What more can you ask for. Many thanks. Difficult to say really as we obviously haven't seen the flowers, but they delivered in a hurry. That's all we asked. Beautiful flowers. I requested different colours than those shown in the picture online and they were perfect. My mum loved them. Will definitely order from Botanics of Melbourne again. Thanks! My daughter was delighted with the flowers, and has said she will use the service in Australia! I purchased the flowers for my sister in laws birthday and she loved them. Beautiful flowers. They cheered my daughter up and all her friends commented on the flowers. Lovely product and swift delivery to friend in Oz thanks! Lovely bouquet for my daughters birthday. The recipient was overjoyed at the amazing floral arrangement and chocolates. The photographs she sent through were wonderful and we both are really delighted with the service and quality received. Thank you. 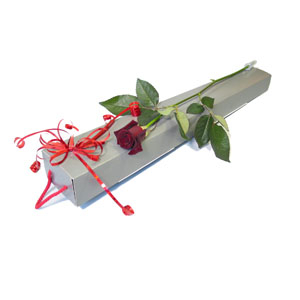 I have not seen a picture of the flowers or heard directly from recipient however, my client is particularly difficult and demands a high standard and was happy with the comments received from the recipient of the flowers. I have. Had feed back from my daughter in law and were the. Best flowers She has ever received. Which is really good news. Thank you very much. Beautiful flowers were delivered, just as described. Thanks very much for a brilliant service! Obviously I haven't seen the flowers but my friend said they are beautiful. Thank you very much! Flowers were beautiful and delivered quickly as requested. Perfect! And such nice handwriting on the note too, made it A++ romantic. 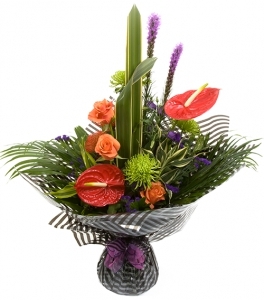 A good range of flowers, a very prompt service delivered when asked. We saw the flowers on face time today, and we were delighted. Perfect. My daughter-in-law was delighted with her flowers and I couldn't believe how easy it was to send them from Devon, England to Melbourne.Will definitely use this florist again. Ordered flowers from the UK and was a little apprehensive about it. I wanted them to be a really nice surprise for my friend's birthday. She posted a photo on FB and they looked absolutely beautiful! I am a very happy customer. Beautiful flowers, well worth the money. I have just recieved an e-mail from my cousin to say the flowers were gorgeous ! Well the range of flowers were varied for all tastes which I turn would suite all occasions. The best feedback was the excitement from my friend whom loved her flowers on Valentines morning. So 10 out of 10 to you & me for choosing you. Beautiful bouquet of orchids - lovely combination of colours as well, made my sister very happy - thank you so much! Quick delivery, even when ordered the night before; beautiful bunch and I like the free card. Wish they were a bit cheaper. Product was excellent, just as ordered. Superb service and very speedy delivery. My friend was delighted with her flowers. Fantastic service & beautiful flowers will definitely use them again !!! My daughter was thrilled with the flowers. Delivery driver extremely helpful as she wasn't in when first delivered. 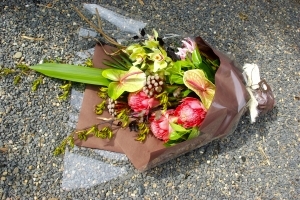 I have used Direct2florist many times for flowers in both Australia and the USA and always have had an excellent service. Caryl, Wales. Thankyou. The flowers made my daughters day! She told me they were really beautiful. Very pleased! 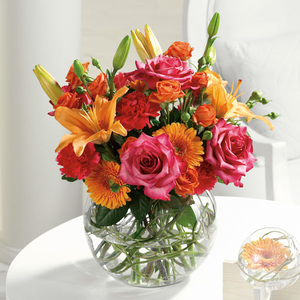 I think the description from the recipient (who is an avid flower buyer) says it all "beautiful and exquisite flower display." They also said the base was extremely high quality. Timely delivery too. Will definitely order from them again!